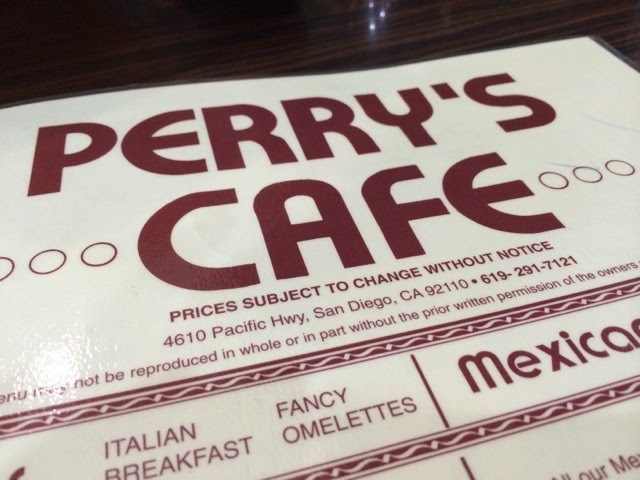 Perry's Cafe. We have all probably have seen it off the Interstate 5 freeway. I know it has been there for a long time, but we never thought to stop. M's friend, Tom, loves the place and eats breakfast at Perry's every weekend. He is a regular Perry's customer. So when M and I decide to finally try it out, Tom told us that it was a must to try their frittatas. We arrived on a Friday morning around 8:30am. M and I were both off of work and J was at school. The parking lot was busy -- a good sign that they always have customers. We were sat immediately at a booth in the back of the restaurant. It was not as big as I thought it was, until I noticed an additional seating area near the restrooms. Every table had two mugs on it facing down. The coffee that they serve is 100% Columbian coffee. 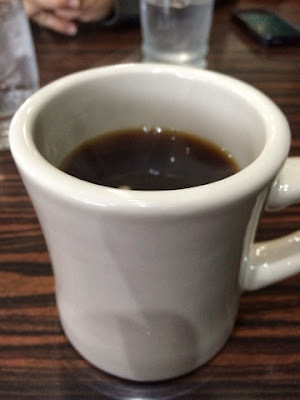 I absolutely love coffee so, immediately I agreed to a nice, hot cup ($2.00). I could not believe how delicious it was. The flavor was not too strong, but rather a mild roast. Perry's offers on the cover of their menu many frittatas to choose from. From vegetable, spinach, Mexican, zucchini... they have a lot! M chose the Combo frittata with hashbrowns and dry wheat toast ($8.75). 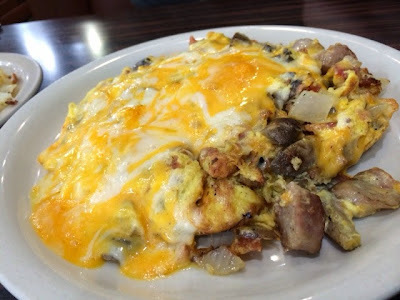 Frittatas come with your choice of a) hashbrowns or home fries (with your choice of bread - blueberry or bran muffin, biscuit or toast), b) fruit, or c) Mexican style with beans and tortillas. Tom texted M to go light on the cheese, but he got the text after he ordered. Boy, were they heavy on the cheese, but M didn't seem to mind it. Mmmm, cheesy. Frittatas are similar to omelettes. They are usually made in a saute or frying pan and then finished off in an oven. M's combo frittata came with ham, bacon, onions and mushrooms. We definitely could have shared this one. 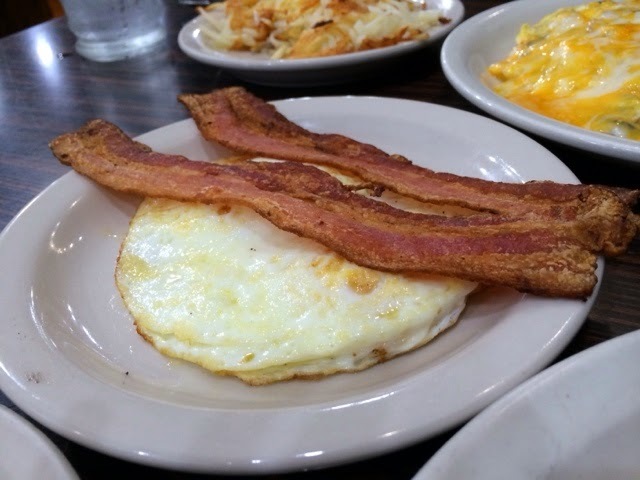 Perry's has weekday breakfast specials. 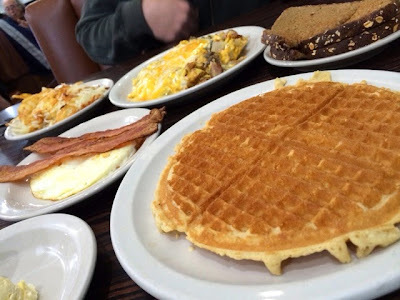 One caught my eye... the Waffle Special for $4.95 (only until 11:00am). The price reeled me in, but I didn't want a huge frittata either. The waffle special consisted of one large waffle, two eggs your way (over medium for me), and two strips of crispy bacon. The bacon appeared to look really overdone, but I actually enjoyed how crispy it was. The waffle was really delicious and it has a nice sweet (but not overpowering) after taste. 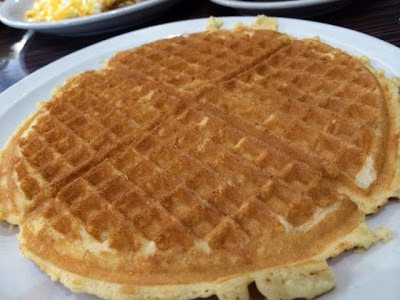 It tasted fresh, straight from a waffle iron. All of this food for about $16.00! Perry's Cafe is a diner... some may say a 'greasy diner', but we enjoyed the simplicity of it. Nothing special, they have good coffee and really great frittatas, or what they call "fancy omelettes." The service was great. Because we were there on a weekday morning, it was not busy but I read on Yelp that it can get really busy on the weekends. I recommend it when you are in the area (on a weekday) and just want some darn good breakfast. Crispy bacon is the best! As long as it isn't burnt, haha. The waffle looks good too and you sure can't beat that price. Perry's is totally old school, I haven't been in awhile but I remember thinking it looked like it from the 70's inside. Hey Mary! Yeah, the decor is totally 70s and Perry's is a typical diner. I loved it! 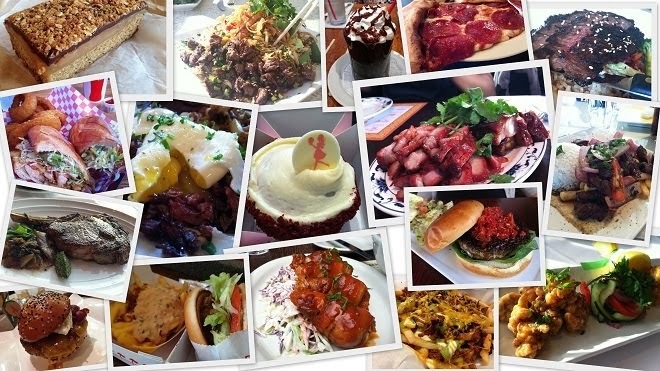 And you're so right about the crispy bacon! As a kid, I used to like soft bacon, yuck!